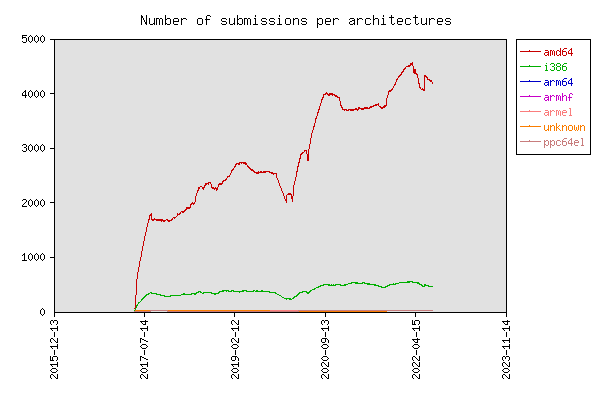 You find below a few simple graphs with the total number of reports and the break down by architecture. (*) N.B. 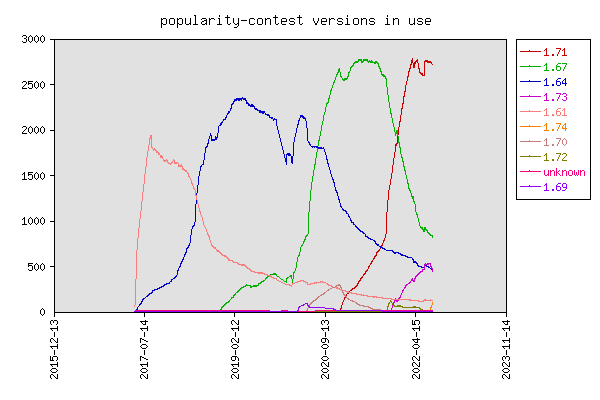 : These statistics are just indicative, and they probably do not constitute a significative sample of all the Devuan installations. Devuan Popularity Contest Owner <owner@popcon.devuan.org>.